Two of the most interesting items I picked up in my haul are the blusher and the bronzer that I picked up a Peacocks cosmetics sale at £1 each. There was even an offer of 10% student discount on so one of these was picked up for me by my boyfriend at 90p! While the blusher carries a pretty gold shimmer and looks an almost apricot shade, it shows up on the skin as quite a natural flush of pink. I thought that due to the low price, it might give quite a heavy-handed dose splodge of colour or be hard to blend. In fact, the base of this blusher (and similarly the bronzer) is a fine gold shimmer underneath which a gentle tint builds. I like the illuminating qualities this gives the fact that it can be blended so lightly. I couldn't resist picking up the bronzer too although there wasn't an unboxed example on display to peek at. I was quite surprised at how dark it was when I opened in and might not have bought it had I seen it but I'm glad I did. Though the colour looks deep, the fine shimmer particles lift the shade and make it good for applying an easy summery contour. I've actually been wearing this instead of my Accessorize blusher because while the Accessorize blusher is a similarly shimmery pink, to build the tint, you need to build the shimmer. With the Peacocks blusher I find that you can build the colour a lot quicker without needing to layer up on the product as much, making it a preferable shade for summer! One of my favourite things about the bronzer is the fact that it isn't cakey. While the shimmer is clearly gold, on my skin this product also doesn't create orange layers like some budget examples I've tried. A little goes a long way but it can of course be built up. I wore this dusted over a light base on the hottest day of the year so far and was extremely pleased with the results! For my pennies, I recieved two boxed block powder products weighing in at 13.5g including a small brush. Now, I have actually used the brush (as I normally use supplied eyeshadow applicators) mostly out of my own laziness but I have to say they're not great. They do shed and mine seemed to be a a bid dodgy but I don't really mind for the uber cheap pricetag! I feel almost guilty for saying that I didn't look twice at these products when they were at their full price. 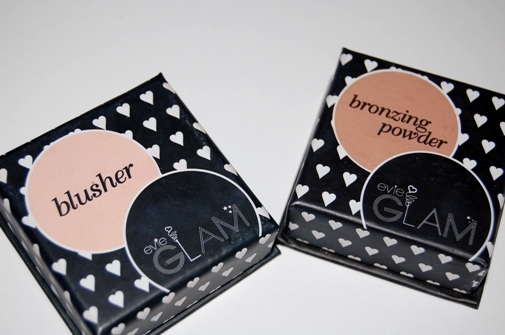 I believe they were originally £3 each, but then again bronzers and blushers aren't usually everyday products for me. I think that the bronzer has found its way into my heart as a distinctly summery product that I wouldn't necessarily splurge on but I'm glad I found! The blusher has become my current favourite for wearing in the evenings. I know that I'm fickle, but these two products are definitely some summery sale treats that I would advise you all to check out! 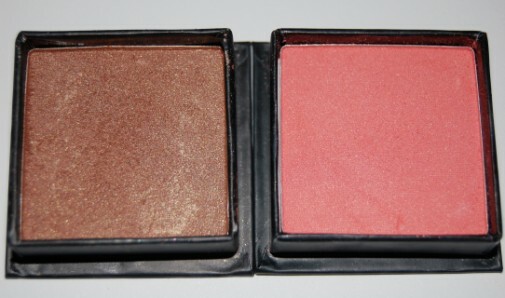 The blush looks lovely - might have to try it! Wow, what an incredible bargain! The blush looks soooo beautiful! @Rachel It's well worth it! @G A B Y I was so surprised by how natural it looked!